Dylan then tried to recreate the Rolling Thunder Revue’s success in the spring of 1976. Rehearsals were held in Clearwater, Florida during April, and the first show was on April 18 at the Civic Center in Lakeland, Florida. The tour continued throughout April and May in the American South and Southwest. The penultimate show of the tour took place on May 23 at Hughes Stadium in Fort Collins, Colorado. The final Rolling Thunder show took place on May 25. 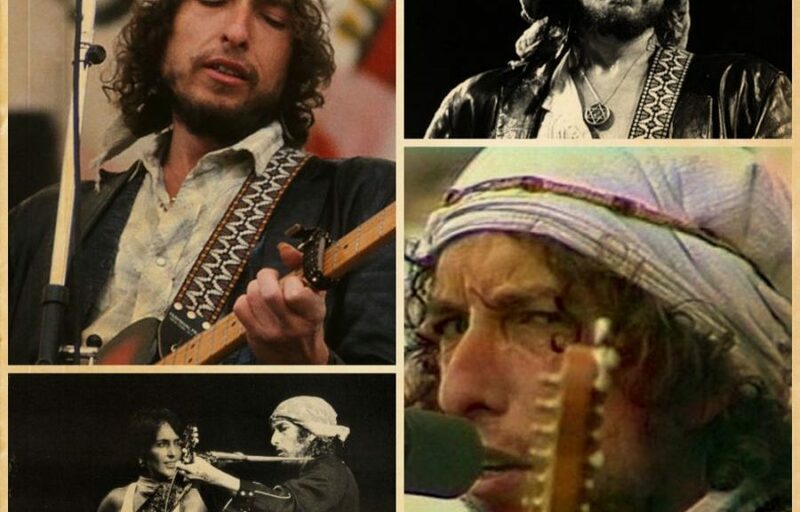 Held at a half-empty, 17,000 seat Salt Palace in Salt Lake City, it would be Dylan’s last performance for twenty-one months (except for The Last Waltz in November 1976 for the Band), and it would be another two years before Dylan recorded another album of new material. The Rolling Thunder 2 (spring 76) was a wonderful tour, one of his best for sure. Here are 5 lovely performances. I´ve chosen not to include any performance from “Hard Rain” (album), Everybody reading this have heard (and hopefully LOVE) “Hard Rain”. More interesting with performances not officially released. Please use the Comments section to post your personal favourites from 1976. Every time I hear a great live version of One More Cup of Coffee I wonder why there are no similar live versions of Black Diamond Bay — the two are tied together for me from many listenings of the Desire album.